“A Sin To Err”, what the heck does that mean? The only time you’ve probably heard ‘Err’ before was in the famous Alexander Pope line “To Err Is Human, To Forgive Divine.” Well there’s not much forgiveness in this episode, so we must look to another meaning. Much like the past episode, the episode titles usually play upon WWII Era language and the phrase “A Sin to Err” is one of the most intricate of them all. You see, “A Sin To Err” is actually a variation of an old Soviet cipher phrase to translate lines of Code – much like Carter did last episode to understand the typewriter text. More specifically, “A Sin To Er(r)” is actually the code breaker based on the 8 most used letters in the English language – dropping the final R of course. So between the Russian/Leviathan offensive and deceitful tactics going on in this episode, you can see why such an episode title makes perfect sense. Last week it seemed as though the SSR had finally gotten a break when one of the captured Leviathan scientist offered to help the SSR with anything he could; but when we Dottie took up a sniper stance in an adjacent building, it looked as though she was going to silence this leak. The truth of the matter is far more sinister as we learn that Dottie is actually taking her orders from Ivchenko and he was captured on purpose so that he could obtain the item of interest – Steve Roger’s blood. As we saw in the flashbacks, Leviathan is absolutely ruthless and anyone who refuses them – for whatever reason – will be executed, along with his/her entire family or anyone else that could be a hindrance to them. With an interest in superior weapons and soldiers, it’s no wonder they also have enhanced skills of psychoanalysis. Ivchenko is able to work his way through an SSR agent and almost Dooley himself through his enhanced skills of hypnosis and psychoanalysis. As for what Leviathan would want with the Super Soldier Serum, this actually follows the comics – albeit a little changed. 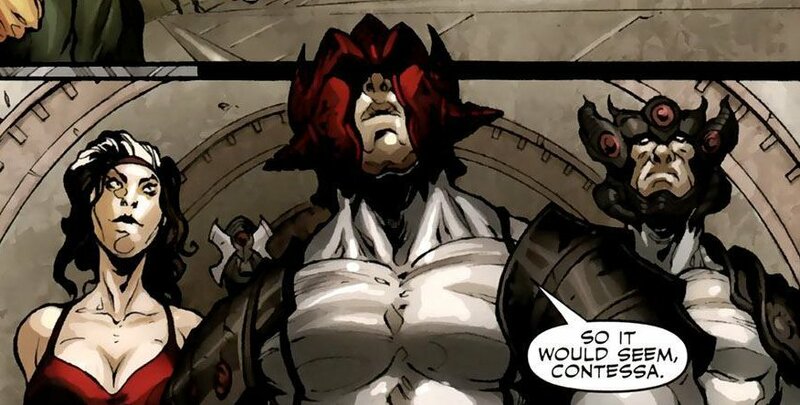 In the comics, Leviathan was interested in being the best – not too different than the show – and wanted super soldiers of their own. In the comics, they achieved this by merging different alien tech and then using the result to transform their men into Super Soldiers. They were then attacked by Hydra during a crucial point which resulted in the process going horribly wrong trapping the men and turning them all into monsters. 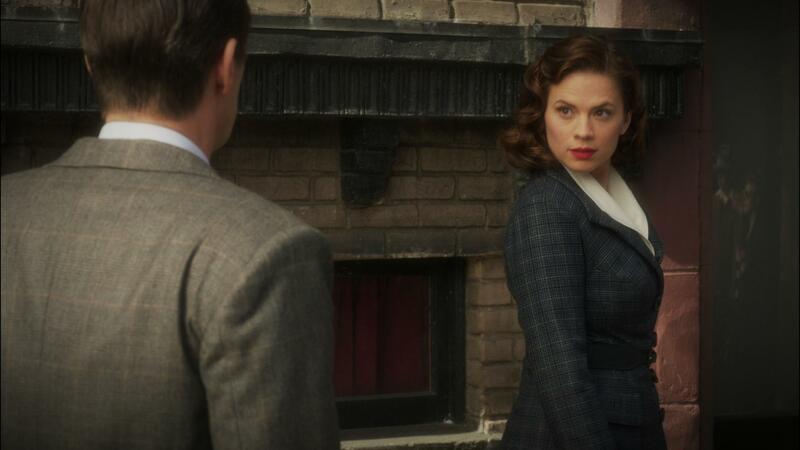 Agent Carter’s story seems to be going slightly different; yet I’m certain the end result will be the same. Here they are going after Steve Rogers’ blood sample. Whether they get their hands on the wrong sample or have something else tainted, I have a strong feeling – and hope – that the Leviathan arc this season ends with their being an accident much like in the comics and all those soldiers being mutated. Heck, they could even throw in a season post credit of one of the ‘tanks’ opening revealing a monstrous claw. Either way, we’ve seen the quest for the super soldier serum go wrong before – Red Skull, Hulk, Abomination, and Man-Thing who was hinted at in Ironman 3 – so I’m sure this one won’t be any different. Though while Leviathan waits on their ‘Super-Soldier’ plans, they have been working on their own training regiment as we learned last week called “The Red Room”. Again, as we discussed previously, this is the precursor program in which The Black Widow was raised and trained, and we’ve already seen how thorough that training course is. When asked “Why Women”, Ivchenko responded that it was the best idea possible since no one would ever suspect a prime and proper woman of being a brainwashed sociopathic killer. We saw that first hand this episode as Dottie killed – viscously so – an unsuspecting Dentist with a flare for sexual harassment lawsuits. Ok, there’s no real loss there; but then we – and Peggy – realize the actual intended target: Howard Stark. Let’s face it, if anyone was going to sneak into Howards vault and fool him, it’d probably be a woman – and there’s been a LOT of them. Peggy knows that one of these women could very well be a trained Leviathan Agent hiding in plain sight. Though it’s not just Leviathan who has some unassuming highly trained females. Peggy Carter herself is a total badass; and one of the things that makes her the perfect woman for the job is that no one would expect her to be a highly trained agent. The other SSR Agents stand out like saw thumbs; but Peggy is able to blend into the crowd and disappear when she needs to. So when Peggy – an unassuming female agent – gets deceived by another unassuming female agent, there is nothing but shock and disbelief. She was so close, SO CLOSE! Peggy might have brilliantly figured out what’s been going on this whole time with Stark, Leviathan and the missing items; but she didn’t for a second expect Souza to be investigating her as well. After interviewing the man they arrested back in the pilot at the farmhouse, Souza got a confirmation on Peggy being the woman behind stealing the nitromene. With this, the race to capture Carter is on! Though before she can leave, she must get the vial of Steve’s blood from her apartment. Thanks to some quick thinking and great acting from Angie, Carter is able to avoid the SSR and secure a ride out of the city. Sadly, Dottie surprises Carter with a knockout kiss – she had stolen her lipstick from the previous episode. Even though it meant her arrest, the SSR thankfully arrive before Dottie can kill Peggy as cruelly as she did the Dentist. Before we close, can we just take a moment to acknowledge how hilarious the Jarvis / Peggy scenes were concerning Stark’s love life. From composing the list to getting proxy slapped/ kicked, this entire exchange was just GLORIOUS! Anyway, there’s only two episodes left, and things are going to start moving as quickly as … Dottie moved out of her apartment. So stay tuned for the stunning final two episodes of Agent Carter.